Centre door knobs from The Door Knocker Company are made using traditional casting methods and authentic Victorian and Georgian patterns to produce faithful copies of the originals. 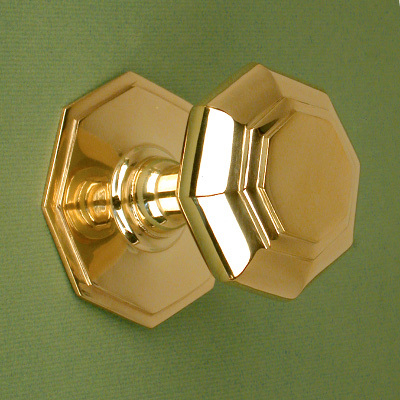 The brass is either polished and left to age naturally, or finished with nickel plating or lacquer. 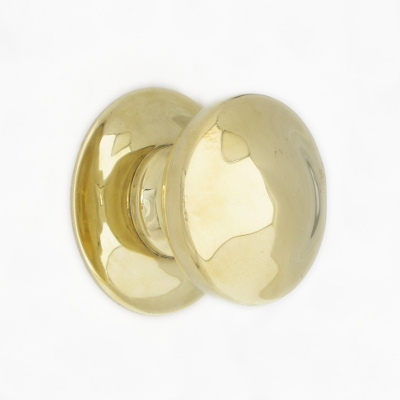 Round, octagonal or decorative centre door pulls are designed to be used to pull the door closed, therefore, they do not turn, but compliment a period property renovation and add the finishing touches to any home improvement project. 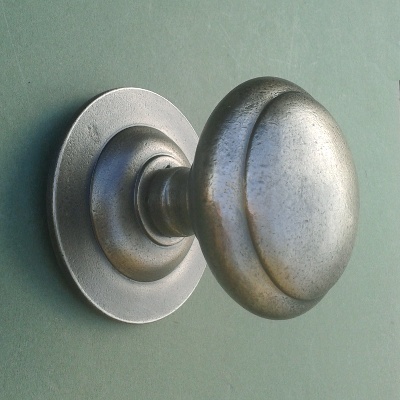 A heavy brass Victorian centre door knob cast in the UK with a polished authentic period finish. 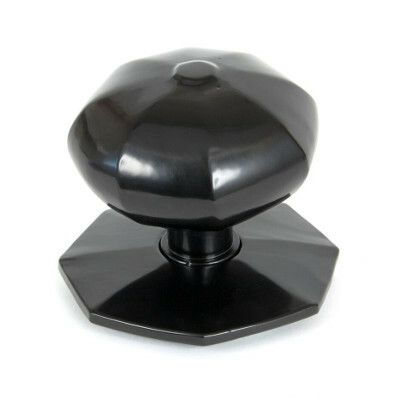 Sizes: 80mm (3 1/8") diameter knob. 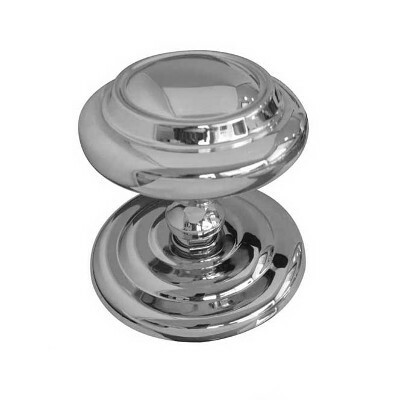 An elegant nickel plated Victorian centre door knob. 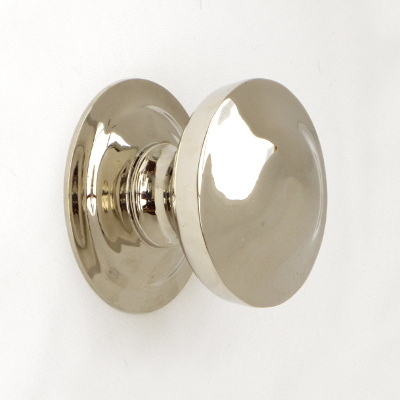 Sizes: 80mm (3 1/8") diameter knob and back plate. A large heavy cast iron centre door pull matching our "From The Anvil" Range of door furniture. Size: 80mm (3 1/8") diameter and projection. 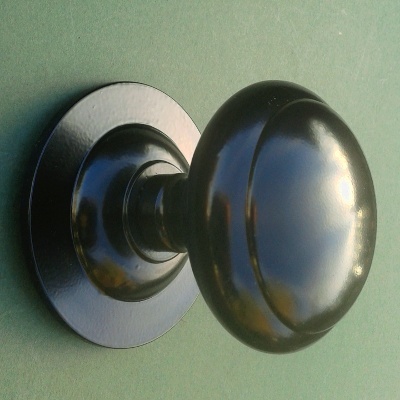 A small black centre door pull to match our range of black door furniture. 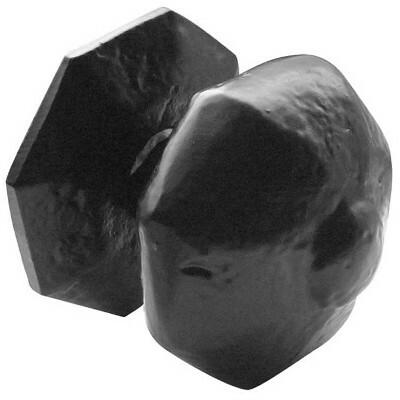 Size: 65mm (2 1/2") diameter x 60mm (2 3/8") projection. 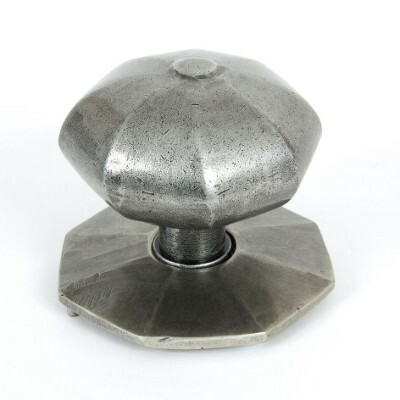 A large heavy cast iron centre door pull matching our "From The Anvil" Range of pewter door furniture. Size: 80mm (3 1/8") diameter and projection.